The “geek-averse” has come a long way when it comes to LGBT inclusion and tolerance. Comic-Con (despite Ender’s Game) is a much more LGBT friendly Con and this year saw the beginnings of the first gay gamer’s conference GaymerX. But there are still some GFB’s out there (greasy fan boys) who are resistant to LGBT nclusion and sit in their parents basement with their heads up their asses holding a joystick in one hand and bigotry in the other. Case in point the cyber attack of Jennifer Hepler. 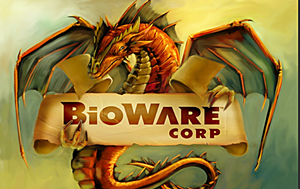 Jennifer Hepler A senior game writer at the video game development company BioWare has quit her position after being targeted by angry fans of Dragon Age and receiving death threats on Twitter and the BioWare’s forums. These gamers give “geek”a bad name and need to get a slap upside the head, a good scrubbing down with lye and a wire haired brush, and tied to a chair and forced to watch Priscilla Queen of the Desert on a constant loop for a week. Maybe then they’ll think twice before threatening children over their own internal bigotry and they will learn some tolerance. to others..
It’s just a freaking game. This is so awful!!! I’m a huge gaymer and when Mass Effect 3 (also Bioware) included a gay storyline I was super stoked. Hearing that people out there would be so hateful and intolerant of a damn game that is just trying to be inclusive is very disappointing. I hope this awesome woman that was trying to be inclusive finds a great job and much success in the future. I also hope Bioware keeps the LGBT characters. Thank you for reporting this!